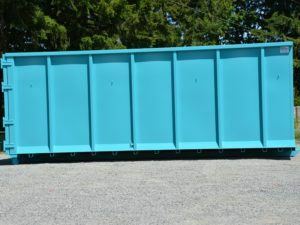 Rock Box Roll Off Container | Steel Container Systems Inc.
Rock Box containers are our strongest, most durable roll off container. 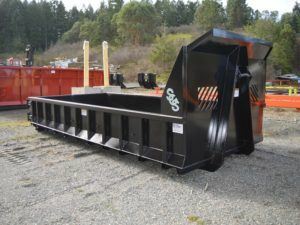 Designed for machine loading and transportation of heavy loads of rock, concrete rubble, sand and gravel or other debris, the SCS rock box will handle the job. 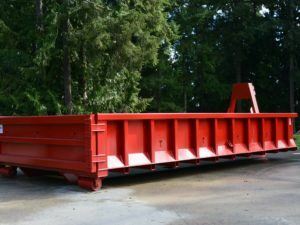 They are available in lengths from 12-20 feet and 5-17 cubic yard capacity. SCS rock box roll offs have inside & outside wall supports(skirts); and the same number of wall studs as floor cross members. SCS rock box roll offs are available with a dump style tailgate which provides you with versatility to adapt to changing job requirements. Tailor the bin to your specific application! We offer a heavy duty D-ring tie downs installed to your specification. Increase the strength and durability of your Rock Box with heavy duty floor options 5/16″ and 3/8″ thick or QT 100 or AR Plate. Our Rock Box Roll Off Container widths can be modified for nesting capabilities. Reduce your fuel consumption during transport, by carrying two containers to your job site in one trip.